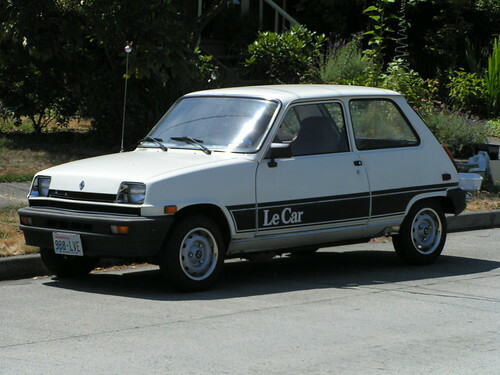 Renault Le Car, originally uploaded by photophonic. Renault 5 factory, originally uploaded by cbilleque. 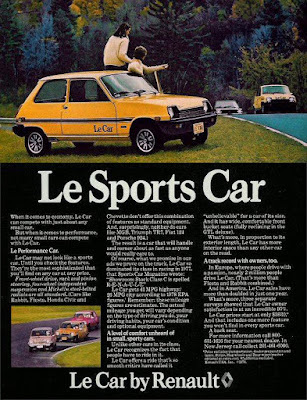 While first designed and manufactured in 1972 by Renault, Le Car was sold in North America AMC dealerships beginning in 1976. The American Motors Corporation has announced that that it will increase the base prices of its imported Renault Le Car models an average of 5.4 percent, or $303. A.M.C. announced on Thursday that the price of Le Car hatchback will go up by $200, effective next Monday. The increase will lift the base price to $4,995. Prices will also be increased by $300 for Le Car three-door sedan, to $5,295, and five-door hatchback models, to $5,595. In addition, destination charges on all Le Car models will rise $10.